Directed by Marielle Heller. 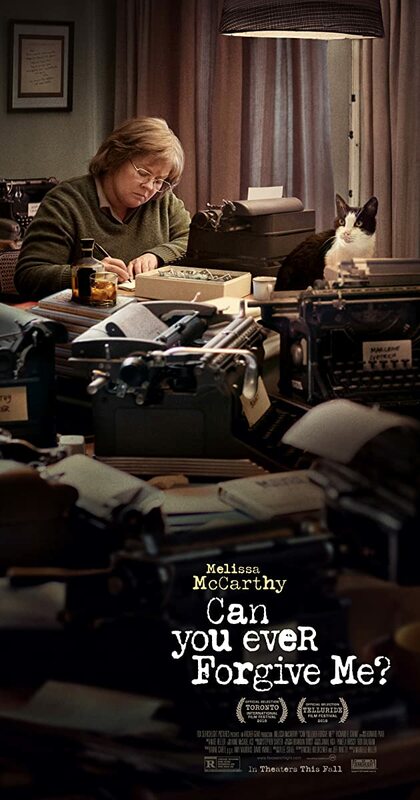 With Melissa McCarthy, Richard E. Grant, Dolly Wells, Ben Falcone. When Lee Israel falls out of step with current tastes, she turns her art form to deception.